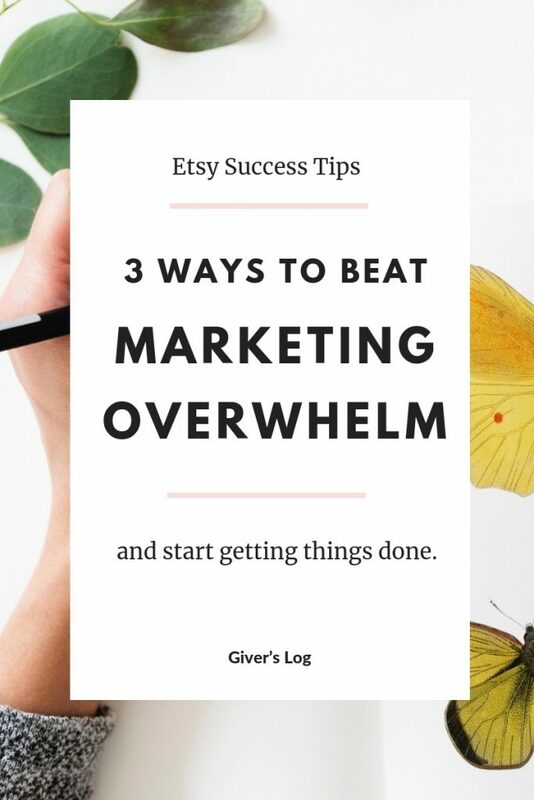 Ready for some more Etsy marketing tips? Read on for advice on promoting your shop without getting overwhelmed by your to-do list. As a creative business owner, you’ve got a lot on your plate. I know how it is — you’re not only the president of your company, but also the production manager, the sales rep, and the entire customer-service department. And when you add promotion, advertising, and PR responsibilities to the mix, and it’s no wonder you feel overwhelmed with marketing sometimes. Throw in marketing and social media tasks, and well, it’s a wonder your Day Runner doesn’t explode. You’re not alone. 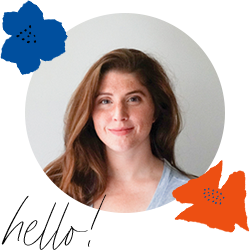 All indie biz owners struggle with this — especially those with itty-bitty marketing budgets. Do any of these concerns ring true to you? Should I buy online/print advertising? Where? How do I create an ad? Should I set up my own e-commerce website? Should I redesign my existing website? Is anyone even visiting my website? Should I send out a newsletter? Spend my time writing a blog? Should I jump into social media? Which sites should I join? All of them? How long will it take before my marketing efforts start to pay off? Business worries can keep a gal up at night! Today, I just want to encourage you in the fact that being your own boss doesn’t have to be fraught with chaos and overwhelm. You can do it — you have what it takes! You just need a solid plan. A lot of our biz-related stress and procrastination comes from our tendency to flake out on the plans we make with ourselves. We say that we’re going to do some marketing, but then other things get in the way, or we get discouraged, or we get distracted by videos of cute pugs on Youtube. But when you commit to a list of smart, actionable goals you’re much more likely to follow through and achieve real growth in your businesses. Marketing your shop is JUST as important to the success of your business as making the products themselves. Yes — I hear you — you need to spend time creating remarkable products — but you also need to prioritize time to attract customers who will buy your products. Make a marketing appointment with yourself, and commit to it. Carve out a small block of time to focus on one marketing task. Follow through. Maybe your marketing plan includes writing a blog, sending a weekly newsletter, building a solid presence on Twitter, and submitting your work to print magazines. Awesome. But you don’t need to accomplish it all today. Here’s the practical solution: Break down your long-term business goals into smaller, more manageable steps. Make these “action tasks” as concrete as possible. Prioritize the tasks. Then, for each “marketing appointment” you make, decide what one thing you’re going to work on. Then, work on that one thing with focus. Give it your full attention, knowing that you can work on that other thing tomorrow. If you don’t like marketing — or if you’re maxed out on time — there’s no reason why you should have to do it all alone. Just because marketing is important, doesn’t mean you have to do it yourself. Consider outsourcing marketing tasks to help your business grow. By hiring other folks to do the things that you are not interested in, you free up time to do the things you love. My biggest tip, though, is to actually DO something. You can read all of the marketing advice on the internet, but it won’t help you if you don’t implement it in your own life. The step you take today doesn’t have to be earth-shatteringly huge, and it doesn’t have to be right this minute, but plan to start taking some action in your marketing. For more etsy marketing tips, read Etsy Tips: 4 Myths about Social Media, or check out all Etsy Tips posts.